Johan van Laarhoven and his wife Tutka in happier times. Image courtesy of Justice For Johan. 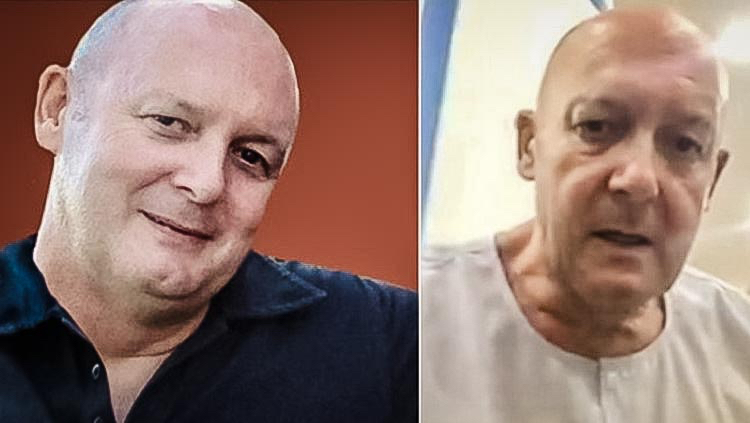 One of the most successful Dutch coffee shop pioneers has been wasting away in a Bangkok jail since the summer of 2014, where he’s currently serving a 75-year jail sentence. But 58-year-old Johan van Laarhoven has no criminal record in the Netherlands and has never broken any law in Thailand. Since his imprisonment, Johan’s health has declined so much that his brother Frans fears he will die in jail. So, what is van Laarhoven’s crime? He started one of the first ever cannabis coffee shops in the south of the Netherlands, back in 1982, in his hometown of Tilburg. 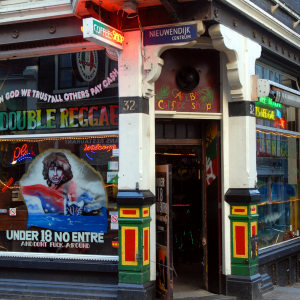 It was called Ochtendgloren (meaning “dawn” in Dutch), and van Laarhoven worked hard, turning that first little coffee shop into a chain of four high-class cannabis establishments called The Grass Company, which employed well over a hundred people. 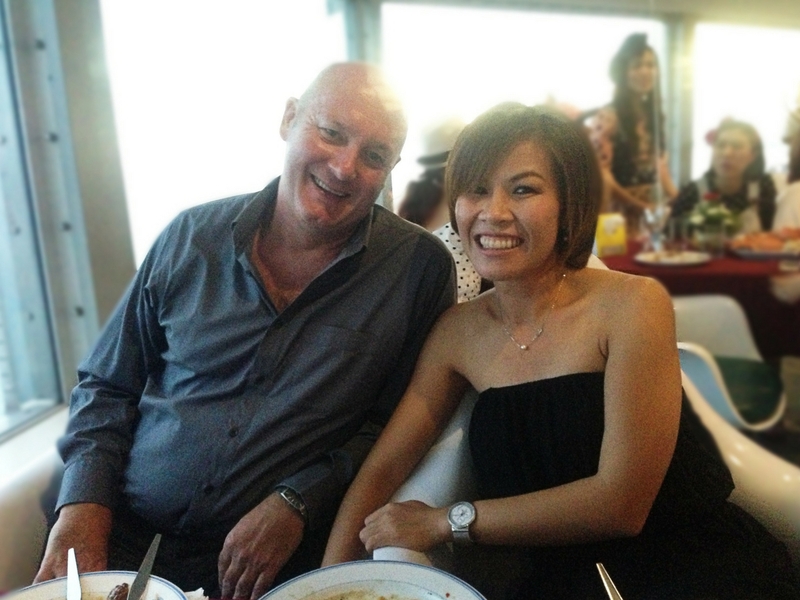 In 2008, van Laarhoven moved to Thailand, a country he had fallen in love with on a previous visit. Three years later, he retired and sold The Grass Company to enjoy the quiet life in Southeast Asia with his Thai wife Tukta and their two children. Around this time, the Dutch Public Prosecution Service started a large-scale investigation into The Grass Company, with van Laarhoven as a prime suspect. The police conducted massive raids on the coffee shops, searched the houses of the suspects, and tapped their phones. The focus of the investigation was not on cannabis, but rather, on money laundering. But Dutch prosecutors could find little evidence and so asked the Thai authorities for assistance. At first the authorities in Thailand were unresponsive. However, the situation changed in May 2014, when a military coup broke out in the kingdom, spearheaded by the Royal Thai Armed Forces led by General Prayut Chan-o-cha. The Thai government was overthrown, the army generals seized power and dissolved the constitution. About a month later, on July 1 2014, the Dutch prosecutor sent a new request for assistance to the Thai authorities regarding van Laarhoven. But the real bombshell was a letter sent by a Dutch liaison police officer working at the Thai Embassy in Bangkok. His letter, dated July 14, 2014, was very different in tone to the earlier requests. While official requests only mention money laundering, this letter was all about drug-related offenses. Van Laarhoven’s wife Tukta, who had previously only been mentioned as a potential witness, was now marked as a suspect. The letter prompted Thai authorities to act swiftly. On July 23, 2014, a huge police force raided van Laarhoven’s villa in Bangkok, arresting the Dutchman and his wife, throwing them in prison. Jail conditions were horrible. Johan shared a 538-square-foot cell with 48 other detainees and had to sleep on the bare concrete floor. It wasn’t until November 2015 when the Thai judges reached their verdict: 103 years in jail for Johan and 18 years for his wife Tukta. Their alleged crime? Using their chain of Grass Company coffee shops in the Netherlands as a front for money laundering. While Dutch authorities in the Netherlands turn a blind eye to the sale of cannabis in coffee shops under the policy of tolerance known as “gedoogbeleid,” Thai authorities take a much more hardline approach to cannabis. 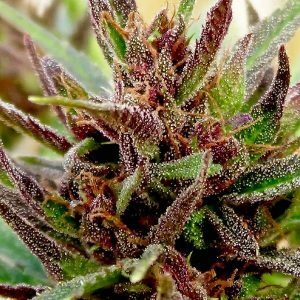 The court concluded that money earned from the sale of cannabis in the Netherlands was obtained by illegal means, therefore spending that money in Thailand amounted to criminal activity. Every day I wonder why. What have I ever done to the Dutch state to be treated like this? It’s not just that the justice ministry has rendered us up with lies and deceit to a military dictatorship where justice does not exist, it’s also the ministry of foreign affairs that structurally refuses to give us any kind of help. Whether it’s the embassy or maybe the minister of foreign affairs himself, they are all trying their best to let us waste away in this Hell. I am treated as public enemy number one, but I have no clue why. I am no more than a simple coffee shop owner who has been successful. I have always been a champion of cannabis legalization, the liberation of the herb. For 30 years I have worked for this, I have always been a leader in the industry and have helped shape the Dutch coffee shop industry. Johan van Laarhoven before his arrest, and three years after his imprisonment. After three years of misery, there seemed to be a glimmer of hope last summer, when the Thai Court of Appeals reduced van Laarhoven’s sentence from 103 years to 75 years, of which he must spend 20 years in jail. If the verdict is irrevocable, he could be extradited to the Netherlands and serve his jail sentence there, under the so-called WOTS convention, which allows for a transfer of sentences if the detainee is located outside the European Union. One of the conditions of the WOTS convention is that the defendant has to have served four years of their sentence outside the EU, which makes van Laarhoven eligible for extradition in July 2018. But this hope faded when the Thai authorities decided in November 2017 to appeal yet again. Since his imprisonment, van Laarhoven has lost more than 66 pounds and is suffering from a range of health problems. His brother Frans fears he will not survive his ordeal. One of the driving forces behind the Justice for Johan campaign, Frans has appeared on national television in the Netherlands to bring attention to the case and shine a light on the questionable methods of the Dutch authorities. Big Buds Mag spoke to him exclusively to find out the latest on the money-laundering case of his brother Johan van Laarhoven. BigBudsMag: The Thai justice appealed your brother’s resentencing last November. Do you have any idea how long this will take? Frans van Laarhoven: There is no legal deadline for this appeal. We hope for a decision within a year. There’s no life without hope. This means that Johan’s transfer to the Netherlands under the WOTS convention will also be suspended for the time being. His case must be definitive if he wants to make use of the WOTS. BBM: The Dutch case against The Grass Company had been postponed at the last moment, because Johan cannot be present in the Netherlands while he is jailed in Thailand. Do you think this can lead to his return to the Netherlands, or is the WOTS scheme the only option? FVL: We hope that the court will ask for Johan’s extradition so that he can appear in court here in the Netherlands. According to our information, there is a possibility in Thai law to do this. But the Dutch government has not been cooperative, not in any way, really. BBM: The Netherlands has a new government since last October. Do you think this will make a difference for Johan’s fate? FVL: I hope it will. But we haven’t seen any change yet. BBM: How difficult is it to keep up hope that Johan and Tukta will return to the Netherlands? FVL: There can be no life without hope. This is what my wife and me tell Johan and Tukta’s children, who live with us, every day. It is difficult to not lose hope, but we still hope Johan and Tukta can return home soon. BBM: In your view, what’s the most reprehensible aspect of the whole case? FVL: The attitude of the Dutch government. Nothing or almost nothing is done to repair or minimize the damage caused by them! In Thailand cannabis is very much illegal. 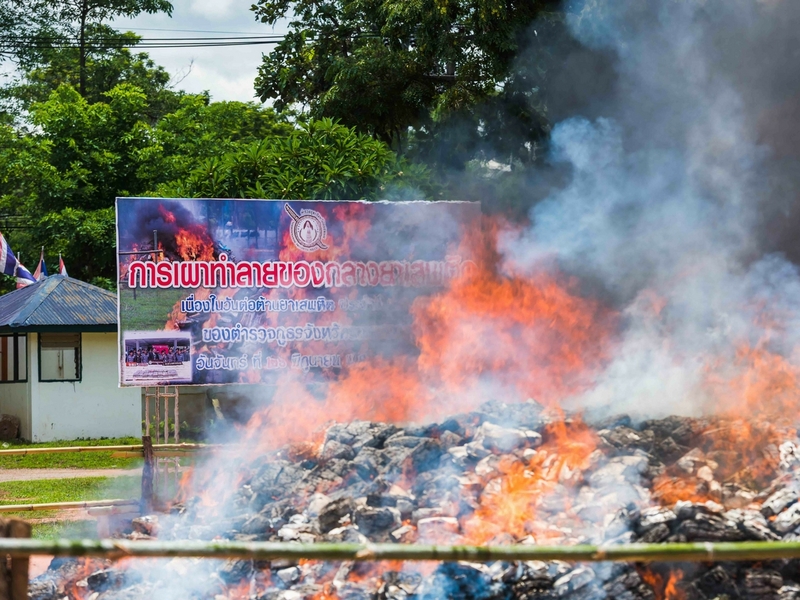 Here, last June, confiscated plants are burned by authorities. In the Netherlands I have now also been summoned and I am expected to appear in court on September 20. How I am supposed to do that is unclear to me. According to European law someone who can not appear in court is not allowed to be summoned, but just like the Public Prosecutor has been trampling the law throughout this whole investigation, he now does that with the summons. The summons itself is full of nonsense and lies, so I have full confidence in a court case where I will be present! At the last minute, the Dutch prosecutor decided to postpone the case and transfer it to an investigating judge. “The public prosecutor suddenly announced last summer that it would sue in the cases surrounding The Grass Company at a very short notice. Originally, they set the date in July. The question is: why did this happen so abruptly after five years of painfully slow investigation? “The reasons are diverse,” Smeets continues. “First of all, it obstructs various pending procedures in the Netherlands. For example, the procedure started by the defense of The Grass Company at the investigating judge is now halted. “After five years of unilateral investigation by the public prosecutor, the defense thought it was time to have a number of cases examined by an independent judge, but the public prosecutor did not want to hear of it. He had long since decided that the suspects must be prosecuted, regardless of what witnesses have to say about the alleged criminal offenses. In fact, the public prosecutor does not want to ask Johan van Laarhoven any questions at all. “For months, the Ombudsman has been trying to get documents from the public prosecutor and the Minister of Justice to investigate the strange course of events surrounding the Dutch request to the Thai authorities to arrest and prosecute Van Laarhoven and his wife. In Van Laarhoven’s view, the public prosecutor acted unlawfully and the Ombudsman found the issue worth investigating. There is one Dutch parliament member who is committed to the van Laarhoven case: Vera Bergkamp of the progressive liberal party Democrats 66, or D66. Bergkamp is also the champion of proposed legislation to regulate cannabis production for the coffee shops. She has consistently been submitting questions to the ministers of justice and foreign affairs about van Laarhoven and the role of the Dutch authorities. At a meeting organized by coffee shop union Platform Cannabis Companies (PCN) in Tilburg in January, Bergkamp called on the audience not to forget about Johan van Laarhoven. She showed the Thai new year greeting card she received from Johan, thanking her for her support. Van Laarhoven has sent similar greeting cards to the Dutch royal couple, King Willem-Alexander and Queen Máxima, Prime Minister Mark Rutte, and the new Minister of Justice Sander Dekker. The Dutch royal family could easily end van Laarhoven’s nightmare by reaching out to Thailand’s King Maha Vajiralongkorn, who succeeded his father King Bhumibol in 2016. But the Dutch government could also take responsibility, says van Laarhoven’s lawyer Smeets. “The key lies with the government,” Smeets explains. “Through diplomatic channels they could try to persuade the Thai to extradite van Laarhoven and his wife to the Netherlands. You don’t even need a treaty for that. It comes down to the question [of] to what extent the Dutch government is willing to stand firmly behind its own policy, in this case, the tolerance policy for cannabis. 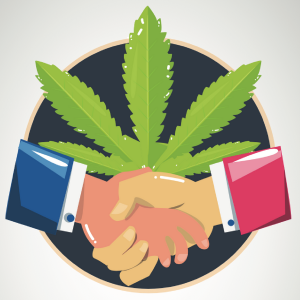 The Race Is On: Do The 2018 Gubernatorial Elections Indicate Which States Are Next To Legalize?